Visiting Regina and searching for a place to swim? Nice choice! Don't forget to tell us how did it go. 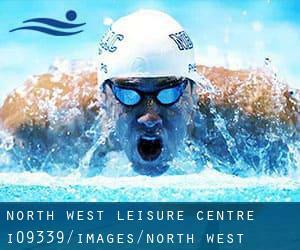 Introducing now North West Leisure Centre swimming pool, an amazing swimming pool sent by a swimmer like you few days ago. Have you visit this pool? Do you function here? Please, make contact with us for those who have data that you feel is gonna be useful and remember from now on you can now promote every single pool just by sharing this page with your pals or adding comments in the Facebook boxes below. Come on and help this pool to be the first in Regina! Among all the activities supplied by the centre, if you are enthusiastic about swimming you will take pleasure in 25 meters, Indoors. Just in case you want to get in touch with this Swimming Pool before dropping by, we only know the phone number. 1717 Elphinstone Street , Regina , SK , CANADA (Postal Code: S4P 3C8). This sports centre delivers 65 meters x 18.5 meters, Indoors. For this Swimming Pool, only phone number is number here. Centre for Kinesiology, Health and Sport , 3737 Wascana Parkway , Regina , SK , CANADA (Postal Code: S4S 0A2). Swimmers like you reported 25 meters x 12 meters, 6 lanes, Indoors. Phone number and e-mail address are number for this Pool. 3130 E. Woodhams Dr. , Regina , SK , CANADA (Postal Code: S4V 2P9). This sports centre offers 25 meters, Indoors. For this Swimming Pool, only phone number is number here. 2400 - 13th Avenue , Downtown , Regina , SK , CANADA (Postal Code: S4P 0V9). This sports centre delivers 25 yards, 4 lanes, 3.5f - 9 feet depth, Indoors. Contact information for this Swimming Pool such as phone number and email address are number. 5939 Rochdale Blvd. , Rochdale , Regina , SK , CANADA (Postal Code: S4X 2P9). Swimmers like you reported 20 meters, variable depth, Indoors. Unfortunately we do not have the email address of this Pool, but we can give you the phone number.